That is a zero then on making a salmon of Yourself on a video. Nev mind hope they have a uk prem. First TV spot is online! The new premiere date in Spain is November 14, 2014. The poster for Belgium and The Netherlands is the poster with the car, but with a white background. Looking much better actually. More like the first movie. They are both very good!! The poster from Brazil is with a different background. I went to see "Alexander... terrible,... very bad, no good day"
at the end Roland's wave sneaks in there too. terrible, horrible, very bad, no good week! see that sometimes, other people have worse weeks than me. Still hopin' to enjoy the Journey! It is a movie worth seeing. Not too long to go, yeeeeeeehaaaaaaa! momma and baby dears, beautiful sunsets, fresh crisp air, crisp apples, squash and pumpkin pies, corn fritters, fried green tomatoes or even fried red tomatoes, mmm it's all good! I can confirm that DD To will premiere in Portugal December 4th. No poster yet available but I'm hoping soon! It's also a play on words in the German version. 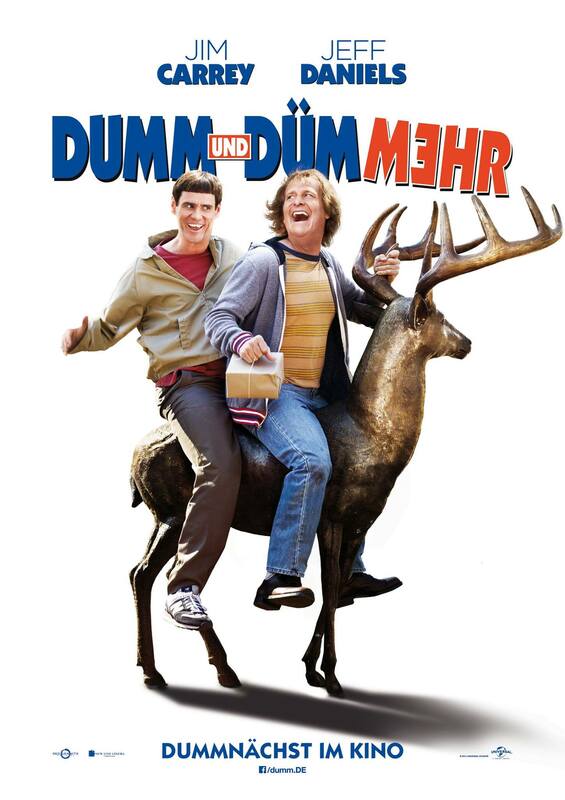 Normally, it's "Dumm und Dümmer" but they made it "Dumm und Dümmehr". "Mehr" means "more" and they fused it with "dümmer" (dumber) by writing "dümmehr" (so writing "dümmer" wrong) . 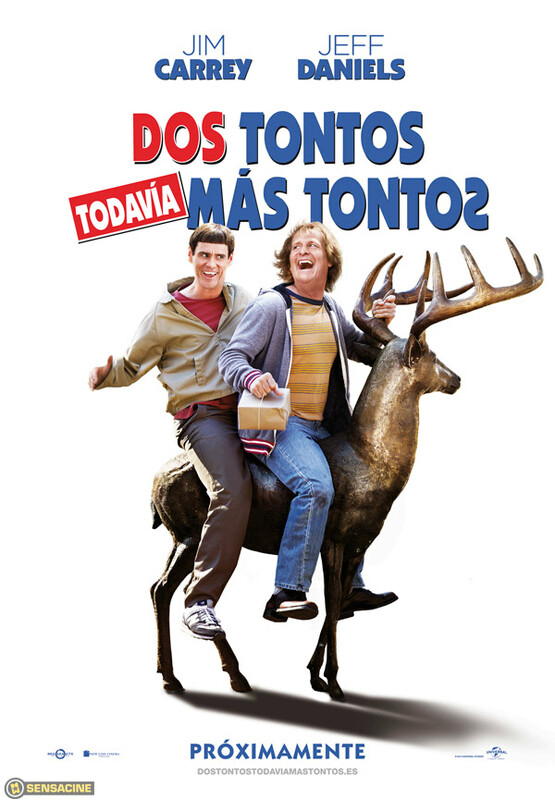 In Serbia Dumb and Dumber To premiers 13. November!!! The car of the guys is currently touring through Germany .